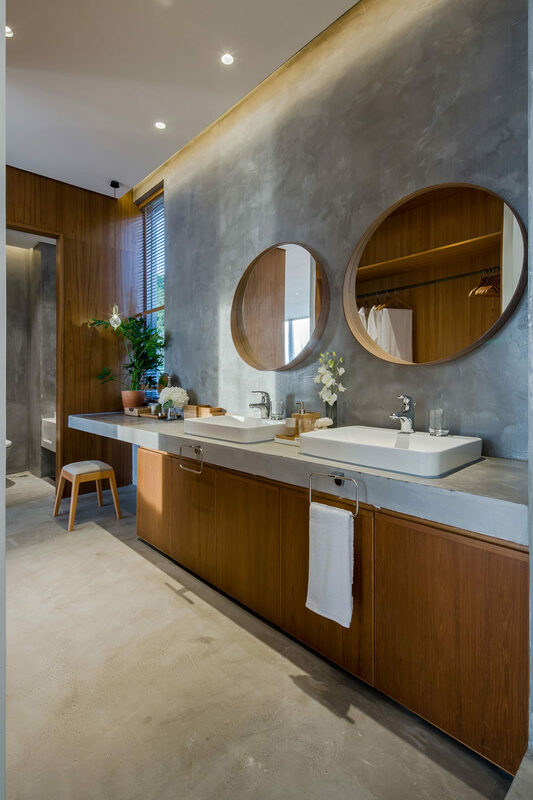 Chinese design firm Shenzhen Super Normal Design, have designed an modern holiday apartment as part of the Seven Star Yufeng Club, a private club located on the Dapeng Peninsula, Shenzhen. 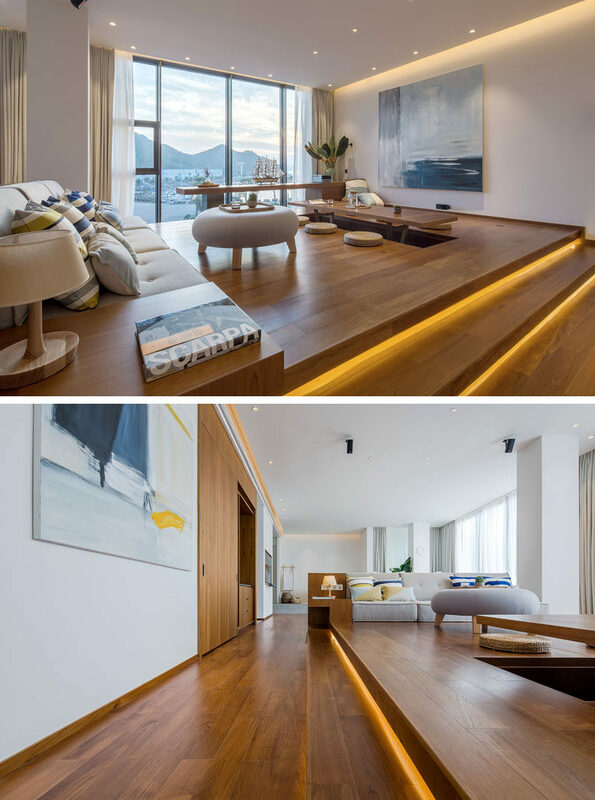 The apartment, located on the fourth floor of the building, has been designed with an open plan layout, with hidden lighting highlighting a variety of areas like the small stairs and where the ceiling meets the walls. 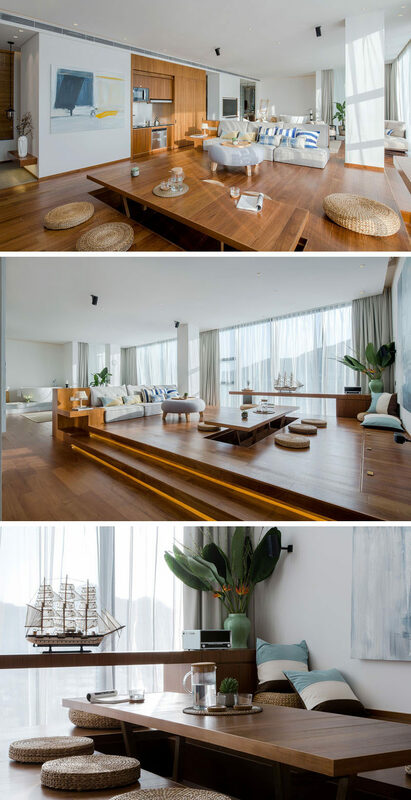 The apartment has a platform with tea area, where a section of the floor is raised to create a table with a hollow space underneath for placing your legs when sitting, while round straw cushions make it comfortable to sit at. Behind the living area is the bed. The headboard separates the two spaces and provides built-in bedside tables and a bed frame. 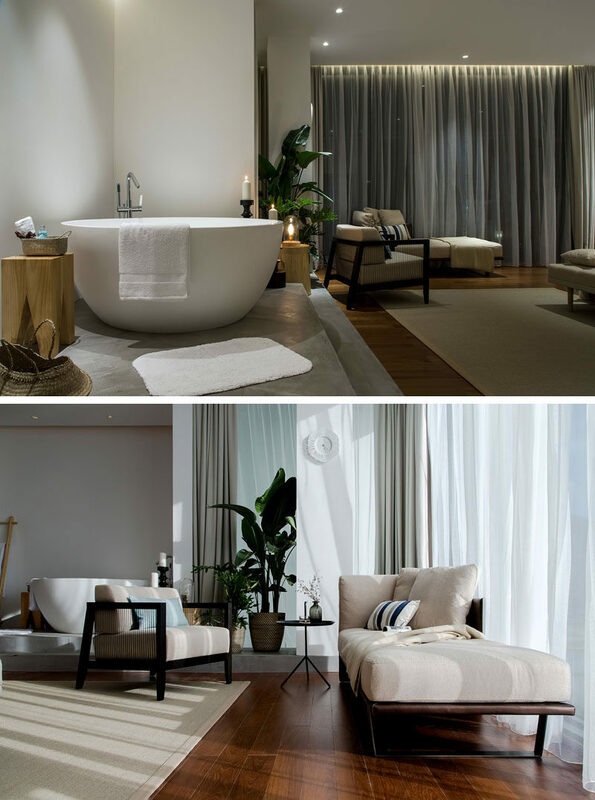 On the other side of the bathtub, there’s a small sitting area with an armchair and daybed that look out to the water views.